The off-season was not kind to the Syracuse basketball team. Star Joe Schwarzer was declared ineligible by the Syracuse Athletic Committee, stating that he had used up his eligibility by being a three year starter. 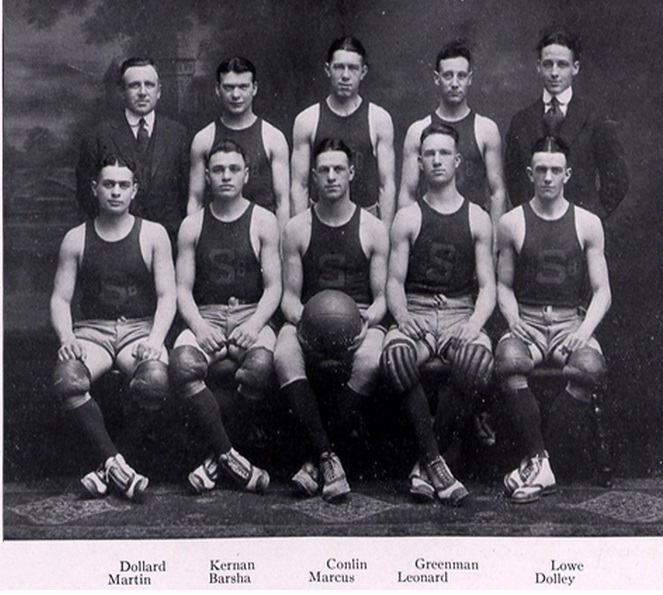 The Athletic Committee had also ruled that Charley Dolley could not play; they changed their mind and let him play. Second leading scorer John Cronauer had died suddenly of heart failure in September. Defensive stalwart Bob Marcus took over Schwarzer's position and became the team's center and was also the team captain. John Barsha, the other defensive standout from last season became the team's leading scorer. Dolley brought his outside sharp shooting, and Danny Martin and John Leonard joined the starting lineup. Sophomore Pete Conlin and freshman Jimmy Kernan would share time at the the forward position with Leonard. The team started the season 9-1, the lone lost being a 18-15 loss to rival Colgate. The team would struggle with its free throw shooting, trying five different players in the designated free throw shooting role (Kernan, Barsha, Marcus, Danny Martin and Nick Paul). Forward John Leonard would hurt his knee against Brooklyn on February 21st, and he would miss three games as a result, during which time the team struggled without his defensive presence. Sophomore Danny Martin would join the squad in February and provide some offensive spark. Despite their free throw shooting woes, the team was winning some close games. Charley Dolley won three games that season with long range / mid-court game ending shots (Rochester on January 31, CCNY on February 23, and Great Lakes on February 28). The last regular game of the season was against rival Colgate. The Orangemen would win that game 22-17 behind 8 points from Barsha, and would win the New York State Intercollegiate Basketball league. They would play an Alumni squad on March 22 and win 19-16 to finish the season 13-3.